Here’s the deal. It’s January. You’re probably skint (I certainly am). You’ve probably got a resolution to lose weight or eat healthily (I certainly do) but have quickly found out that it’s hard to think of what to eat that’s tasty and everything healthy is so expensive and with the January blues all you want to do is come home and curl up with something quick, comforting and delicious, like she does in that Heinz tomato soup advert. 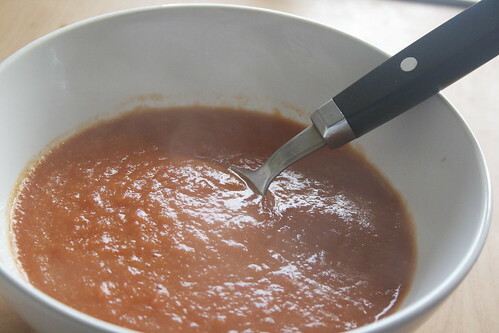 Well I am here to provide you with a quick, easy, cheap, delicious and comforting soup recipe. Try it, thank me later. This recipe is courtesy of my mother, with a few tweaks from me. Dice the red onion, the pepper and the garlic clove. 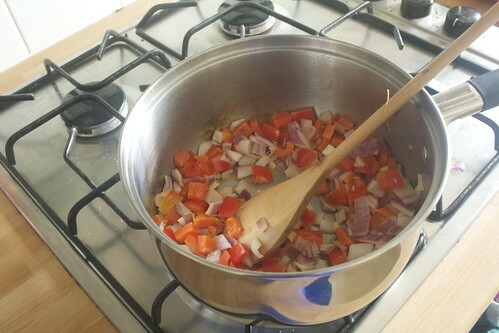 Fry in a large saucepan for five minutes with Fry Light until softened. Add all the other ingredients, along with some seasoning. 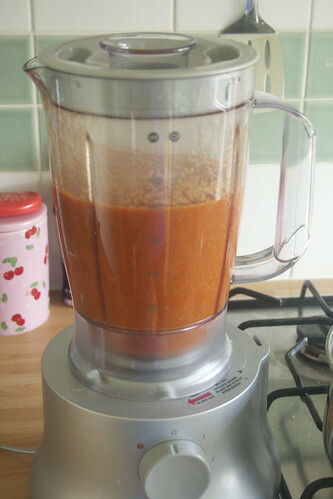 Cook until hot, then blend either in a food processor or using a stick blender. Oh yummy! Thanks for this Amy. 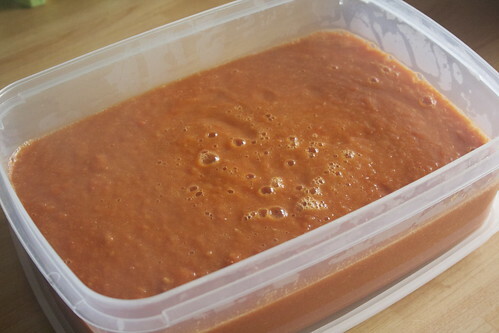 I was just on the Good Food website looking at soup recipes and was pining over tomato soup. I can never find a decent SW friendly recipe. Hi.Made this for lunch today,I substituted a handful of rice and simmered until it was soft and then blitzed.This takes a little longer but I had the time today. Just made this… thought it would be good for work lunches as I am sick of salad. 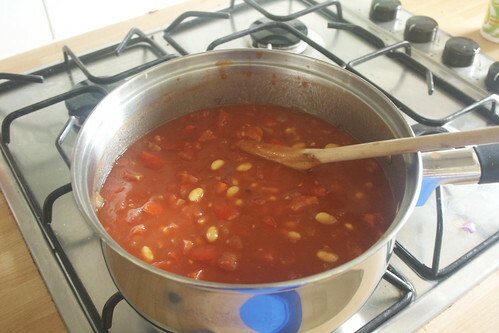 Tastes yum and is so quick and easy, thank you again Amy!